Learning the power of art coupled with science has been one of the biggest lessons in 2017 for IAG CMO, Brent Smart. Speaking on his first-year experiences as the marketing leader for the insurance giant since relocating from Saatchi & Saatchi and a 20-year career agency-side, Smart said the learning curve going client-side has been steep, but also rewarding. A big part of it has been understanding how science can inform the creativity of marketing. “It’s not ‘and’ not ‘or’ – marketing is certainly not a science. You can’t science your way to ideas like the fearless girl, that beautiful statue in New York, or a John Lewis Christmas ad or the lamb campaign,” he told guests at this year’s IAB Christmas gathering in Sydney. “It takes a leap of creativity, guts from a marketer, and art. “That said, what I’ve found is all the things I intuitively believe – like the power of emotion, brand and longer-term formats – is playing out through the science. We have undertaken serious media attribution at IAG and it all confirms the things I’ve intuitively believed about marketing. So I now have the courage and conviction and science to back me up. Smart’s comments came as he launches his first brand campaign for NRMA Insurance in partnership with new creative agency, The Monkeys. 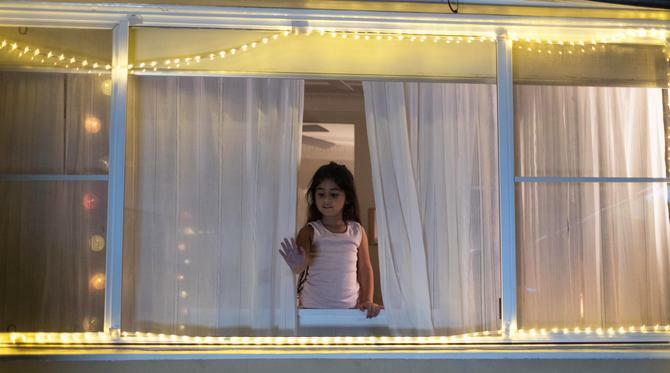 The new 2-minute film, entitled ‘Long Way’, is designed to inspire drivers to take extra care behind the wheel during the festive season by telling the story of a young girl, whose grandparents make a journey to surprise her on Christmas day because she misses them. Smart said the new brand campaign signals the new direction he’s looking to take the NRMA brand in. The film goes live on 10 December across broadcast, cinema, customer and social media channels and features music by singer-songwriter, Tom Odell. “This is a return to the type of storytelling and tone of voice that has made the NRMA Insurance brand loved,” he said. The new campaign is being supported with a new mobile app, called Safer Journeys, designed to motivate drivers to switch off their mobile phones while driving. For Smart, it’s the power of creativity that really helps the more staid and “boring” industry sectors, such as insurance, banking, telecommunications and supermarkets, find a connection with customers, and he said creativity can make a massive difference. Smart said he felt liberated now he was the client to take risks and be brave.